Accredited by the Commission on Colleges of the Southern Association of Colleges and Schools (SACS), St. Petersburg College offers students the opportunity to earn various associate and bachelor degrees, college credit certificates, as well as certificate programs, and technical diplomas. The two-year associate degrees are designed to help students enter the workforce or to be used as a foundation for furthering their education by moving into a bachelor degree program. The bachelor degree programs offered by St. Petersburg College include education, health sciences, nursing, paralegal studies, public safety administration, technology and management, and veterinary technology. 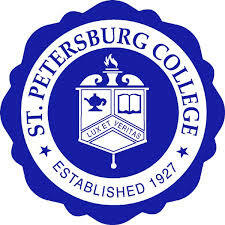 The college also has over 50 certificate programs, as well as a number of diploma programs.In addition, St. Petersburg College offers an honors program, corporate training services, continuing education courses, distance learning, in-service specialized training programs, and community education classes for all ages.